We are not in Vietnam anymore. In the Philippines they sell butchering knives on the streets and I have yet to see the police. 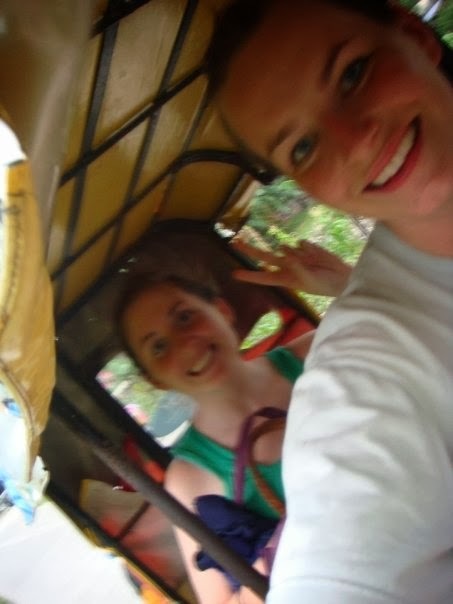 We landed in Clark Field and after a two hour bus ride into Manila, Hannah and I realized that Clark is not in Manila. After a long day of traveling we arrived at a pension house (Philippine's hostels) which was conveniently located behind a Starbucks. I remember when I first got to SE Asia I tried not to go to Starbucks or McDonald's but after a year everything has changed. Hannah and I dropped our stuff off in our room and walked straight to Robinson Mall. We had been deprived of this privilege in Vietnam so we were excited to spend the afternoon shopping in air conditioning. The next morning Hannah and I took a flight down to Cebu in hopes to find turquoise water and white sand beaches. From the airport we hired a car to Moalboal (hiring cars is what you do here because public transportation is dangerous which we find out later that afternoon). Moalboal is a strip of dive shops behind a rocky beach. We checked into a hostel while we started to question the Philippines but we tried to stay positive and went to eat lunch. During lunch we decided Moalboal had nothing to offer us so we left. Time spent in Moalboal: 1 hour. 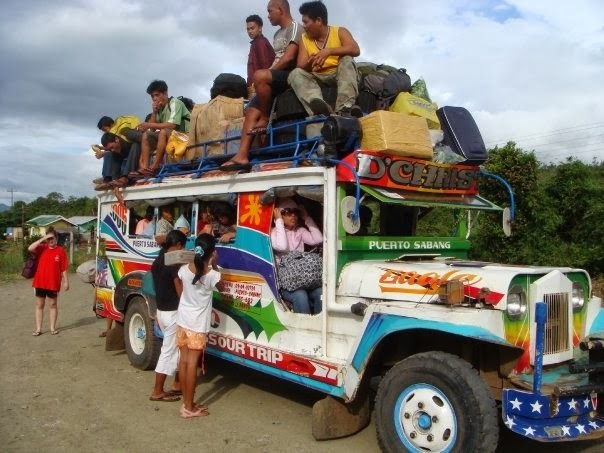 The only option for leaving Moalboal was to take the public bus - desperate times calls for desperate measures. It was about a three hour bus ride back up to Cebu City where we got to witness the Philippines at its best... or worst. About an hour into our bus ride a drunk old man got on the bus and passed out dead cold on the man sitting next to him (we were sitting on the upper back bench so we had a great view of everything that was going on). As we were the only foreigners on the bus the bus assistant came back to us and made sure we were okay which was very nice. At that same moment the drunk man started peeing everywhere (thank god we were on the high bench!). After that an older man got on the bus and sat right next to me. He decided to put his hand right next to my leg and move his fingers around, which I found unnecessary so once I got up the courage I told him to move over and put my backpack between us to stop whatever was going on there. We have learned that you can't have a bus ride without a gun sighting. When the man who was sitting in front of Hannah and I got off the bus the back of his shirt was tucked into his pants exposing his gun. Just a topper to our cultural ride! 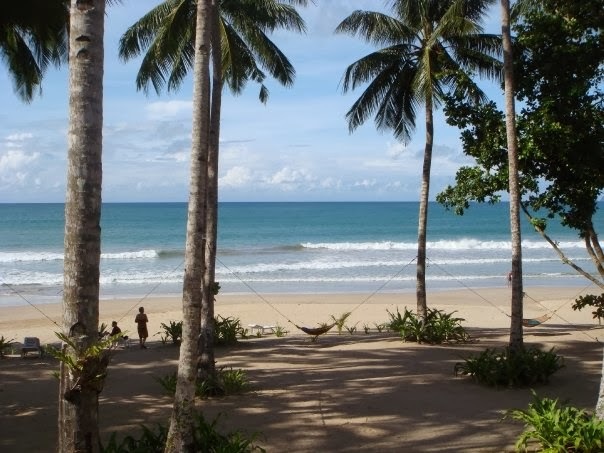 Back in Cebu we decided to ask the pension house for a beach suggestion. She suggested a beach near by so the next morning we took a taxi to the supposed beach. Yeah right, I do not think so! Another failed beach attempt. The Philippines was suppose to be a vacation not a cultural immersion program. We turned around and went back to Cebu City and to a travel agent. The travel agent was worse then our Lonely Planet. She basically told us going up north was a bad idea because of the typhoon and the only affordable way to get up their was the public bus which I was not eager to get on again. That afternoon we went to the mall and watched The Ugly Truth. Walking around outside was scary so we hardly spent any time outdoors. At this point our only option for finding any beach (we have given up on turquoise water and white sand) was to get out of Cebu. We flew to Palawan on Saturday after many hours on Friday of tracking the typhoon to make sure it wouldn't be joining us at the beach. Puerto Princesa was a huge step up from Cebu City. 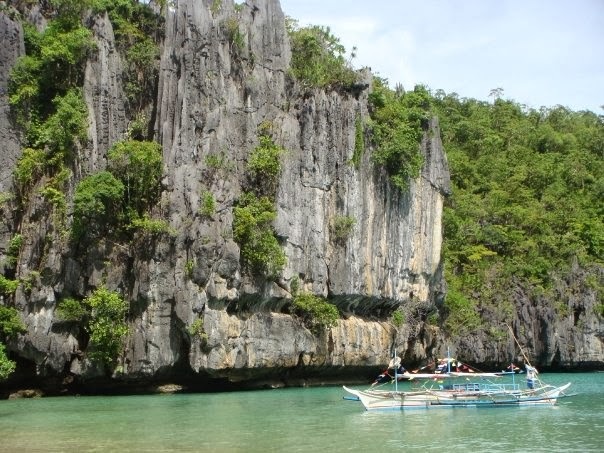 Palawan is known for its world heritage site in Sabang- the Underground River. 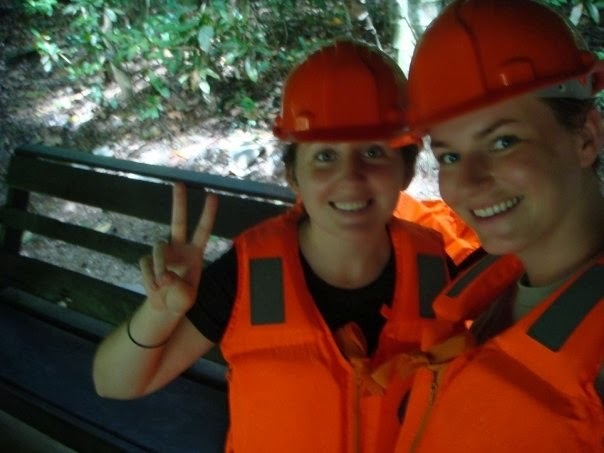 On Sunday we signed up for a tour and went out to Sabang and through the Underground River which was amazing. After seeing Sabang it became our beach destination. 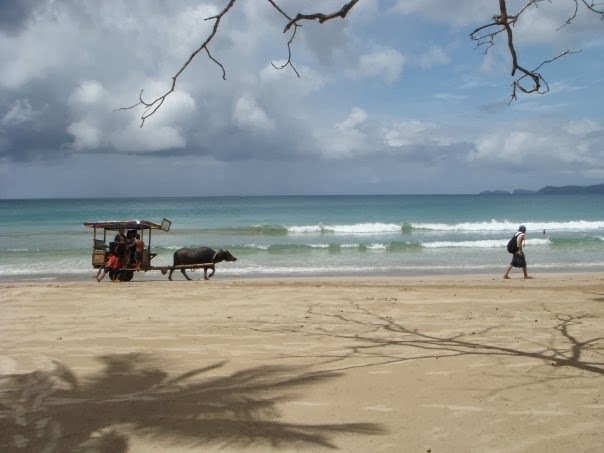 The following day we took a jeepney to Sabang. Our jeepney was packed full from the top to bottom. At one point we picked up someones dining room furniture. We dropped off our backpacks in our bungalow and went to have lunch at their restaurant. During lunch one of the staff members came over to ask if she could have the key to our room to hang the mosquito net. At first we were hesitant but then decided that not everyone is out to get us so we handed over our room key. After lunch we strolled back to our room and found that we had been robbed! Nothing of real value just deodorant and make up remover but it was the principle. We acted quick and strolled down the beach to notice a beautiful resort. This was going to be our splurge. We were saving our splurge for Japan but decided to seize the beach resort moment. We spent the next three days playing in the ocean, swimming at the pool, watching DVD's and eating. We enjoyed every minute of it while we sat on our porch in our resort robes and looked out over the ocean.